Viktorija Jureviciute, RETAL Baltic General Manager, “RETAL is one of the strongest producers of metallized APET films in the European market and we are actively growing our already solid portfolio of PET and PET/PE films. We will be presenting a number of designs and samples at our stand and welcome the chance to meet customers. FachPack is considered the packaging producers’ trade exhibition, with 2018 the first year that RETAL has its own stand, having attended for over ten years. Offering ‘an outstanding spectrum of products for packaging, packing machines and packaging processes...’, FachPack is well-suited to RETAL and its customers. With German-speaking countries represented, as well as visitors from neighbouring countries including France, Belgium and the Netherlands, RETAL's multilingual sales team will be on hand to discuss the company’s range of reliable PET and PET/PE films at this event. 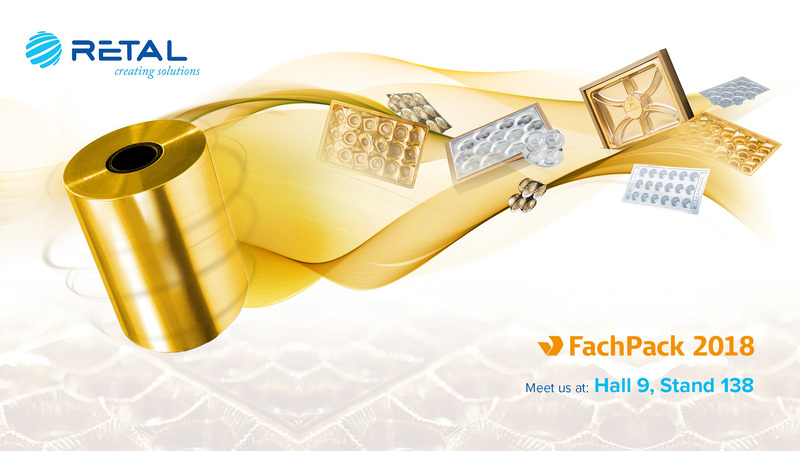 RETAL will be delighted to welcome visitors to Stand 138, Hall 9, with free tickets available for our customers who register at www.fachpack.de/voucher using the code B394260.